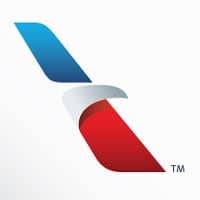 American Airlines is to run a Bluetooth Low Energy (BLE) beacon pilot at Dallas/Fort Worth International Airport (DFW), allowing travellers to access a range of wayfinding and location-based services from their mobile device. The project will be “the world’s biggest airport deployment of beacons to date” and is to be rolled out over the summer to beta users “on select routes and airports in North America”. The airline will be making use of a new Common-use Beacon Registry, developed by technology provider Sita, that allows airlines to make shared use of BLE beacons installed in airports. Other app developers will also be able to create travel-related apps that make use of an airport’s beacon infrastructure, via an API. “As we worked with airlines across the world including American Airlines at DFW and San Francisco International, and others at London Heathrow Airport, Shanghai Hongqiao International Airport and Copenhagen Airport, we saw very quickly that an industry approach was needed,” Jim Peters, Sita’s CTO explained to attendees at the Air Transport IT Summit.